I had an apartment there for three years. Why because at the time everywhere else was so expensive. 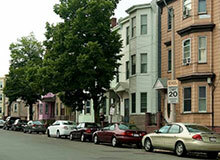 Young people are forced to live in very bad neighborhoods especially people new to the city. These people like myself would have no idea how bad these hoods can be. I'll try to be brief. I got mugged at gunpoint by a kid maybe 15 or 16 right in front my apt. The projects are there and they are infestations of crime and drugs. It's a heavy heavy scene now matter how you look at it. Every month I'd hear a semi automatic gun go off with like 5 or 6 rounds somewhere nearby. I'd always duck in the bathroom. Very very scary. There is no place to hang out. You go from the subway to your door. I'd do laundry though and that was it. I'd bring a backpack and shop in Manhattan for food. Overall I lived there to get a foot in the door in New York. I hated living there. I hated the A/C line. I hated that I always felt this foreboding feeling, this feeling of always kind of being scared. It's a place where you walk and always always have your radar on. I think I'm traumatized especially from the mugging. There are no taxis. Uber thank God is here now. My advice. No matter how desperate you are, do not live here. They says it's coming up, gentrification. It will never ever be a safe nice place with the projects there. Don't kid yourself. The projects are there where Big E Smalls and Jay Z grew up. It's a situation that could at any moment get really really bad. When the cops came to interview me they were actually the kindest and really most serious and concerned cops I've ever met. I moved out within 7 days of getting mugged and live in Nolita now and will never ever go back. In fact I never even take the A/C in that direction. The trains have a heavy, heavy scene and unpredictable. Personally I'd never live in Brooklyn again and part of that is the subway into/out of Manhattan. Manhattan is New York and I'm so happy being here. "Bad Reputation but okay town"
"A neighborhood in transition: Very much a “Block by Block” neighborhood. 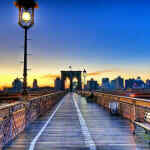 How it will treat you depends on where you go/live." Brookyln’s most famous African American community: birthplace to Jay Z, chronicled in “Everybody hates Chris”, the list can go on. BedStuy has been fighting a bad rep for years, unfairly in my opinion. 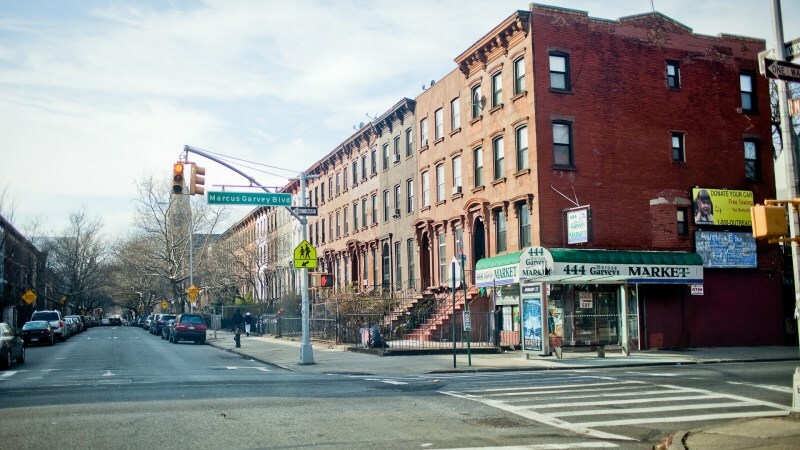 I moved from East Orange (THAT I do not recommend) to BedStuy recently and it is a very special place- there is a sense of community, people speak to you, you know your neighborhors: there are a lot of hard working people in BedStuy who care about their homes and neighborhood. But there are still issue with poverty and (decreasing) crime. 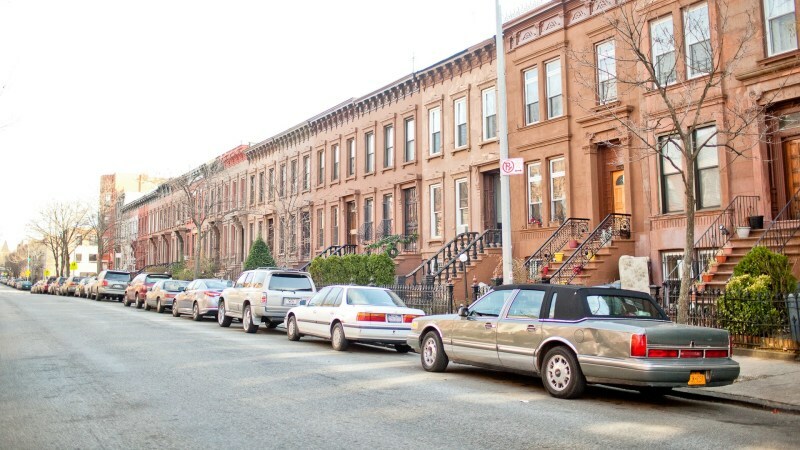 Beautiful housing can be snatched up at prices that could could never get in Harlem, let alone other neighorhoods in Manhattan and other parts of BK.Thus the number of upper class families of ALL races (whites are not the only gentrifiers) has multiplied and continues to each day. Pricing is hard to detrimine since a rental can be in a large apartment building charging $1.700 for a one bedroom, or in the brownstone of a nice long term resident family who’s house is paid off and will only charge you $1,000 for a one bedroom because they like you- which happened in my case. One main concern is safety- anything can happen anywhere- especially in New York City- but Bedtuy is very "block by block"- some streets and beautiful, residential and peaceful but one block over can be rough. Only one incident happened to me before I even moved here- it was just some guy trying to intimidate me from across the street (I am '5'7 he was about 6'3- pick the easy ones huh) - nothing more than that. To me the better part is the area known as Stuyvesant Heights- Fulton to around Madison from Nostrand to Stuyvesant (I may be off a streat or two) The area’s I have felt uncomfortable are going north toward Bushwick (I avoid Marcus Garvey and Gates at ALL cost) Just don’t wander at night, esp with electronics out. 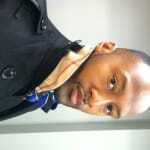 But I am a bit of a “fashionable” guy and nobody has picked on me, called me names or bothered me for that. Heck I walk around with my dog in a little carrying bag on my shoulder and nobody says a word. I wanted to move to Harlem intially but I chose Bedstuy and LOVE it: less commericalized, less gentrified, less tourist-y and much more community. Check out Lewis Ave for some great resturants, I live one block from the commerical strip and can’t wait to enjoy it in the summer. winniem you said to avoid Gates at ALL costs. what if I live there? i recently moved there. any advice? 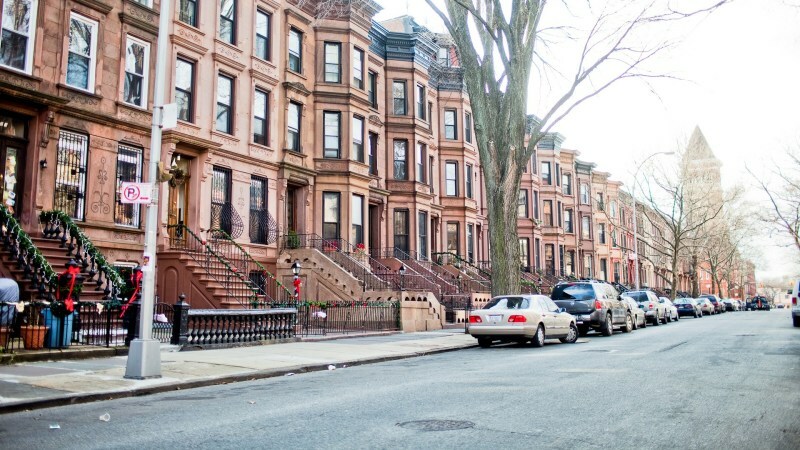 "Underrated community that will likely improve in a few years"
Famous as the hometown of rap legend Notorious BIG (Jay-Z's grandmother also lived here), Bedford Stuyvesant (Bed-Stuy) is a large, predominantly African American community in central Brooklyn. 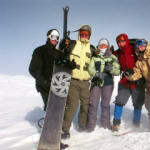 However, during the past decade or so, the neighborhood has become increasingly diverse as the crime rate declined and the subway conditions improved. In particular, the number of white residents has multiplied exponentially. 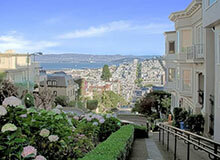 New condos and upscale housing developments have been constructed, and this is a strong area for renters. 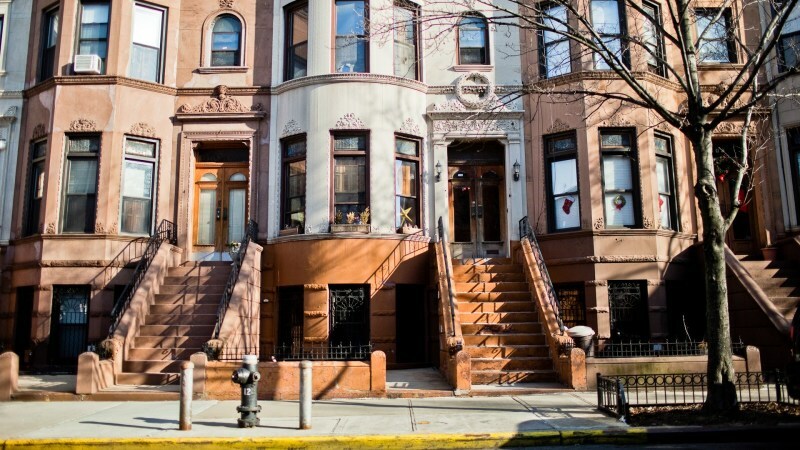 This community is filled with brownstone homes that are very competitively priced; prices here were always relatively low, but they dropped even more during the foreclosure crisis. However, this is such a large neighborhood with so many different kinds of homes that it's hard to say what the average price is. 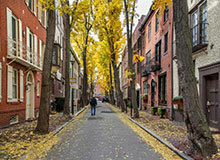 The neighborhood is becoming a popular choice with young professionals and students studying at Pratt, which is nearby. However, crime remains a concern for some prospective buyers as the neighborhood is having a tough time shaking its bad image. 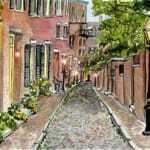 Still, this is a town with a lot of charm; there are diverse Zagat-rated restaurants and quaint stores, particularly on Lewis Avenue. There is great shopping at Fulton and Nostrand. "Tends to be a grim place"
Bed-Stuy has a reputation for being a bad place. There are a lot of people living in poverty and in housing projects in this neighborhood, but there are also a lot of working class citizens and Pratt kids in the area. It's a rough place, and there has been plenty of gang activity here in the past. However, gentrification is happening here - if a little slowly. This area will never be the next Williamsburg, though, and potential residents should be very careful about moving onto certain blocks (some are known gang spots). The worst areas are closer to Bushwick, or in the north side of the neighborhood. Cute little groceries and cafes keep popping up here, especially in the area closer to Atlantic Avenue and Clinton Hill. Of course, this is the area that has been gentrified the most. Havana Outpost is in this area and attracts a huge crowd when it is open in the summertime, and the newly opened Hot Bird is just as popular with its huge outdoor (and indoor) space. "Largest black community in NYC"
Bedford Stuyvesant, also referred to as Bed Stuy, is the largest black community in New York City. 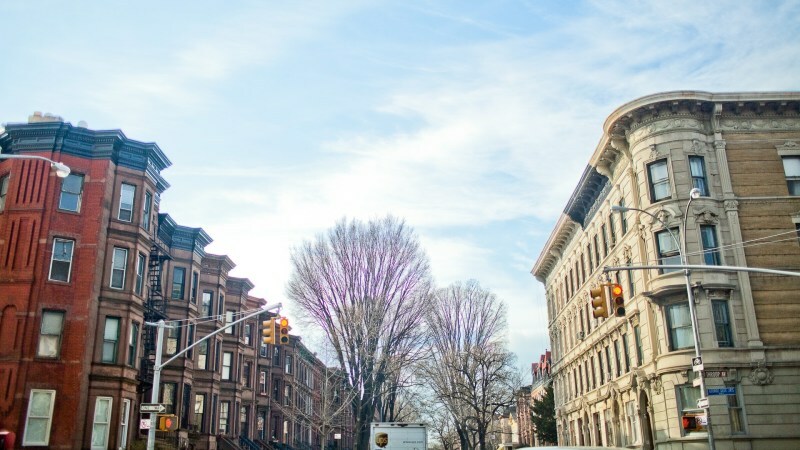 It is a moderate-income neighborhood with tree-lined streets and hundreds upon hundreds of well maintained brownstones, brick townhouses, and some amazingly historic architecture. 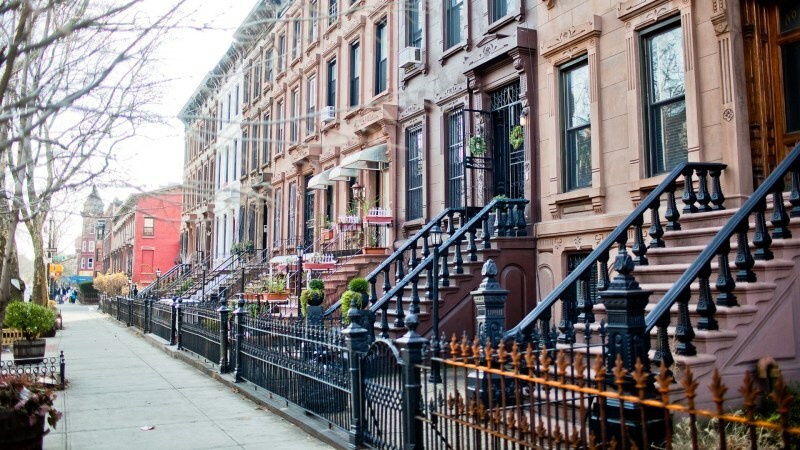 There are some great seasonal events in Bed Stuy, including the Fulton Avenue Fair which runs for three weeks every June and July; the International African Arts Festival in July; the Brownstones of Bed-Stuy House Tour each October; and the Weeksville Family Festival in August. The G, M, J, A, and C subway lines serve most of the area, as well as the Franklin Avenue Shuttle. There are extensive bus routes throughout the neighborhood making Bed Stuy a very transportation friendly community. 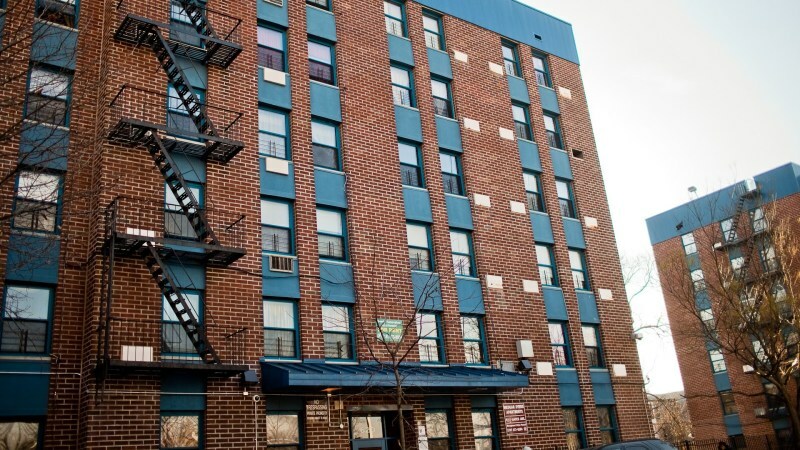 Ben Stuy has 22 public elementary schools, 5 public junior highs, and 4 public high schools. 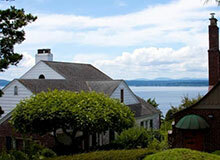 There are also 12 private and parochial schools in the neighborhood. Be sure to check out Peaches for your fried green tomatoes, shrimp, and grits. Located right in the middle of a protected historic district of brownstones will you find Peaches, a relaxed Southern style café with a takeout counter, high ceilings, big windows, and a patio strung with lights. Definitely worth a visit when dining out in Bed-Stuy. "Bed-Stuy - beautiful brownstones, the flavor of African American and Caribbean culture"
Named for its original moniker as the Village of Bedford and the annexed adjacent neighborhood of Stuyvesant, Bedford-Stuyvesant, or “Bed-Stuy” as it is commonly referred to, is considered to be the “Harlem of Brooklyn.” Housing a mainly African-American population historically and presently, this urban neighborhood is home to a middle and working class, not to mention being the birthplace of a few notable people in the entertainment community, such as Chris Rock, and innovators in music namely in the realms of hip-hop and rap, including Jay-Z & the late Notorious B.I.G.. 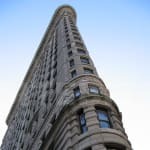 The history of this dynamic neighborhood is closely linked with the current “flight” seen in Brooklyn, as people looking for spacious apartments head to the outer boroughs. 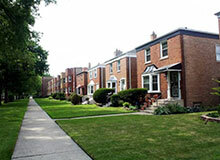 Prior to the phenomenon that would be seen in the 1930s, development and progress was a hallmark of this historic neighborhood. Following the end of the civil war and the freeing of the slaves, several African-Americans traveled north seeking jobs and a new life. Many headed to New York City, some settling in popular Harlem, and some in the neighborhood of Bedford-Stuyvesant. During that time, many of the inhabitants of the neighborhood worked in Manhattan and commuted back to Brooklyn, creating the composition of working class families. 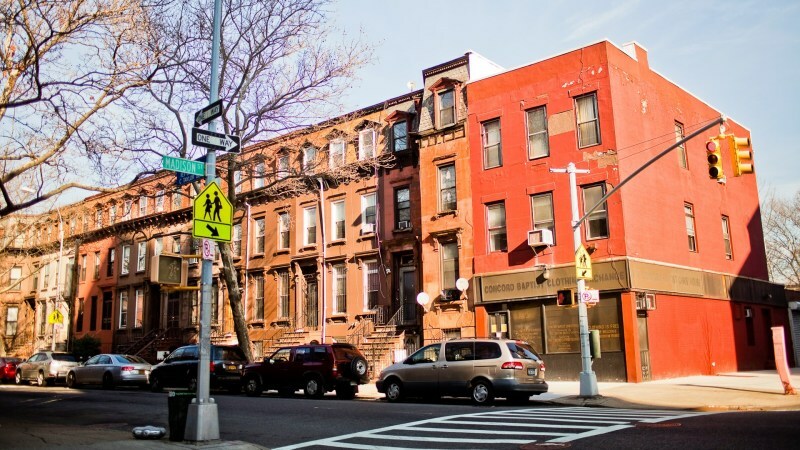 During the 1930s, as people began to desire larger apartments and homes and lower housing costs, many African-Americans moved from Harlem in uptown Manhattan to Bedford-Stuyvesant into the row houses, the neighborhood’s trademark. 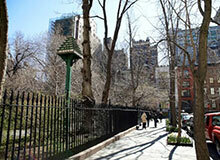 As the economy declined, New York City was heavily impacted, as well as the neighborhood of Bed- Stuy. Riots, the infamous NYC Black Out, rampant crime, and unemployment affected the neighborhood to what some thought was an irrevocable degree. 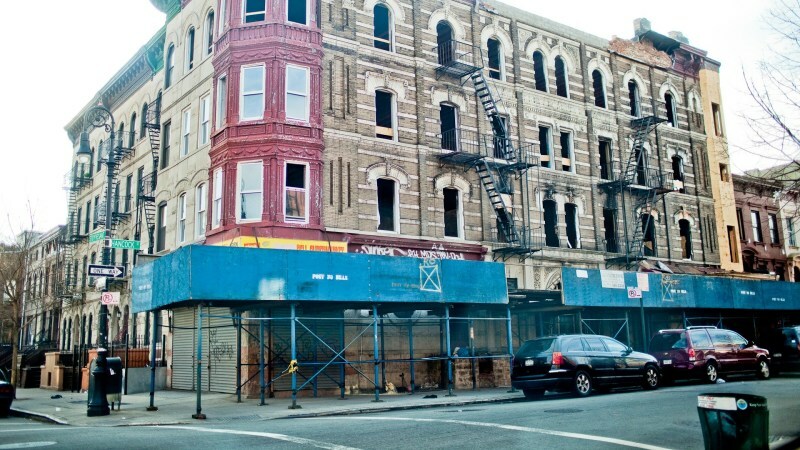 Today, however, Bed-Stuy has benefitted from a renaissance of community organization, gentrification spurred by the famous row houses, and crime on a steady decline, this once undesirable neighborhood is slowly being reborn. 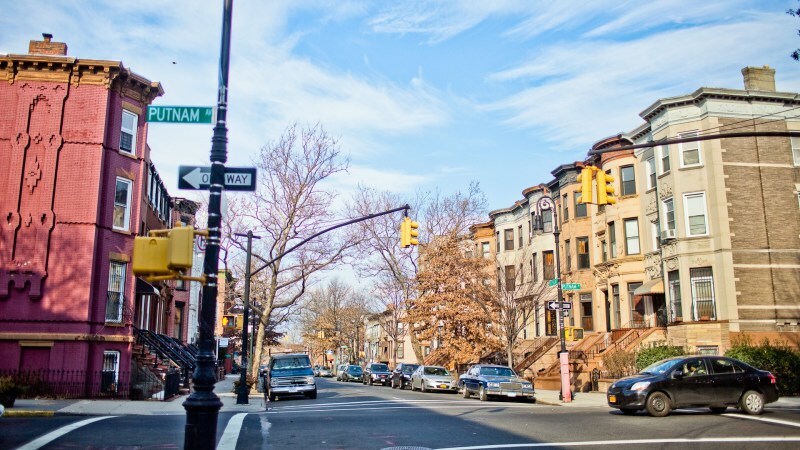 Various people from all walks of life are now choosing to call the changing Bed-Stuy their home, ranging from students to middle-class families. Due to the culture of the neighborhood, all aspects of life, be it through entertainment or living, is impacted by the rich heritage and pride of its inhabitants. The music that was born in this neighborhood is the hallmark of the hip-hop and rap communities, not to mention the trends in common jargon and fashion that were born amongst its vibrant youth sweeping the nation. 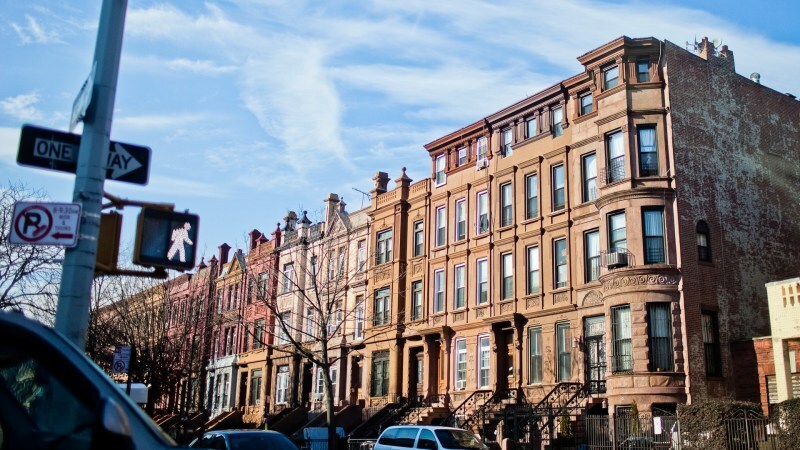 As with all the neighborhoods of NYC, there is a certain pride exhibited by its residents, and that is no different in Bedford-Stuyvesant. 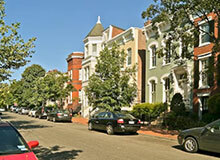 To gain residence in the illustrious row homes, you’ll need $500,000 or more. As with other sections of Brooklyn, subletting and renting individual units is possible, and will likely range from $2,000-5,000. Transportation: The MTA J,M,Z,C,S, & G trains run throughout the neighborhood, making it easily accessible. Denim Lounge, 1223 Bedford Ave.
Amarachi Lounge 2.0, 325 Franklin Ave. This is where Biggie Smalls grew up, and if you’ve ever listened to any of his music that will give you a rough picture of this neighborhood, even if times are a changin’. Gentrification began here in the beginning of this century, as hipsters, artists, and hangers-on began clustering around the cultural epicenter that is Williamsburg. These white kids are just looking for cheap rent, and they found it here (and it continues to be less what what you would pay in the Lower East Side). Since Americans have cut down on the crack, the crime rates in this neighborhood have been on the steady decline. It’s here that you can find “the oldest vegetarian restaurant in Brooklyn” – the Imhotep Health and Vegan Restaurant. It’s inexpensive and charismatic, and they serve Caribbean versions of breakfast and lunch. ""An up and coming area""
"Convenient if You Choose the Right Block"
"Home Depot On One End, But Otherwise Residential and Nice"
"Hancock Street in Brooklyn, New York"
"Cute street in Greenpoint only"
HOW SAFE IS HALSEY ST./NOSTRAND AVE. 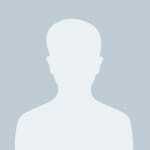 IN BROKLYN? How's the neighborhood on MacDonough Street, cross street is Patchen Ave.
we will be living right Delkab between Bedford and Nostrand. how safe is it?